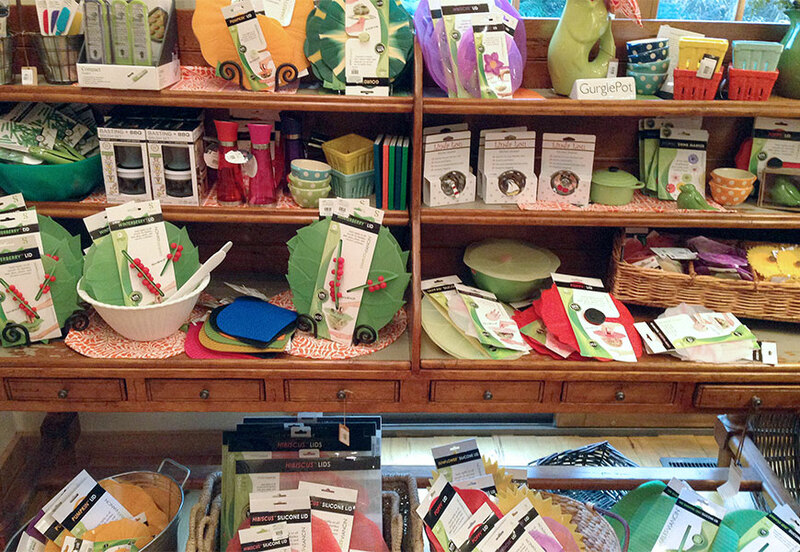 PH: We opened our retail store in May of 1994, and then opened Designworks in 2006. PH: My husband and I moved to Door County, a resort area, from Kentucky. He had a small construction company and I needed something to do. We made candle holders from birch logs, and sold them with good response at festivals, so we decided to take the plunge and open a small retail store! Where did the name Door County Nature Works come from? 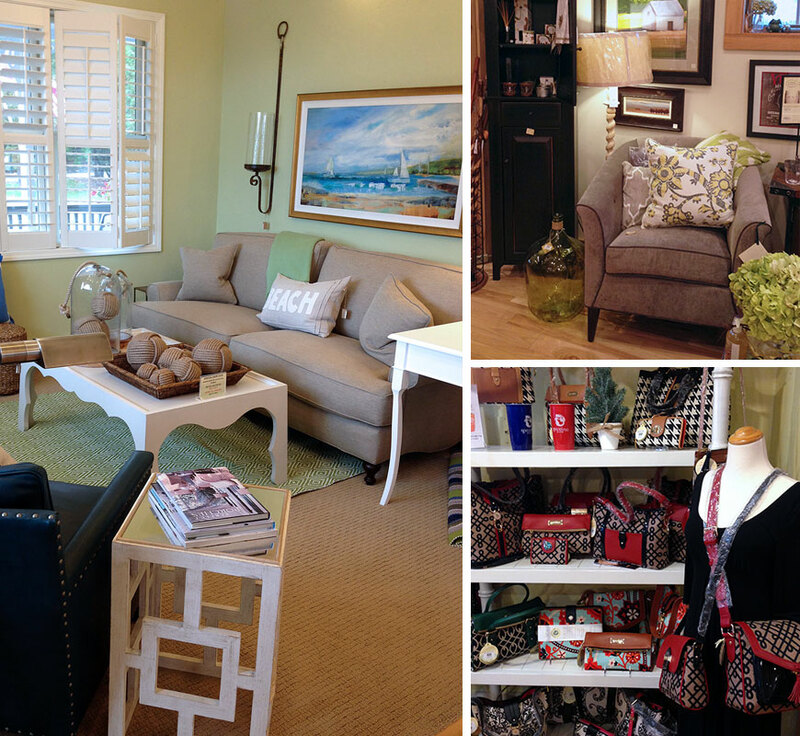 PH: When we first opened our store we focused on the natural beauty of Door County. We had several items made from birch logs with a rustic feel. What she loves about owning a shop? I love the customers and our employees the most. It makes coming to work everyday fun. We have shared so much together – laughter and tears. 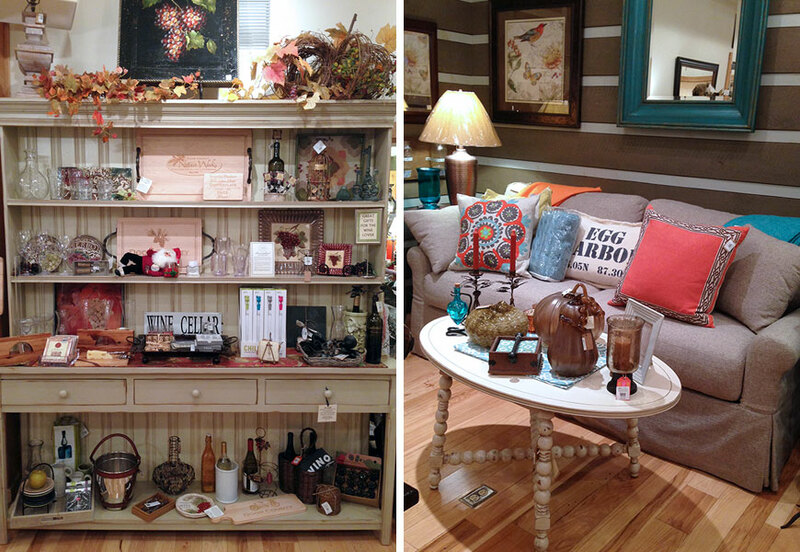 Our customers have watched our daughters grow up and they have trusted us to decorate their homes. 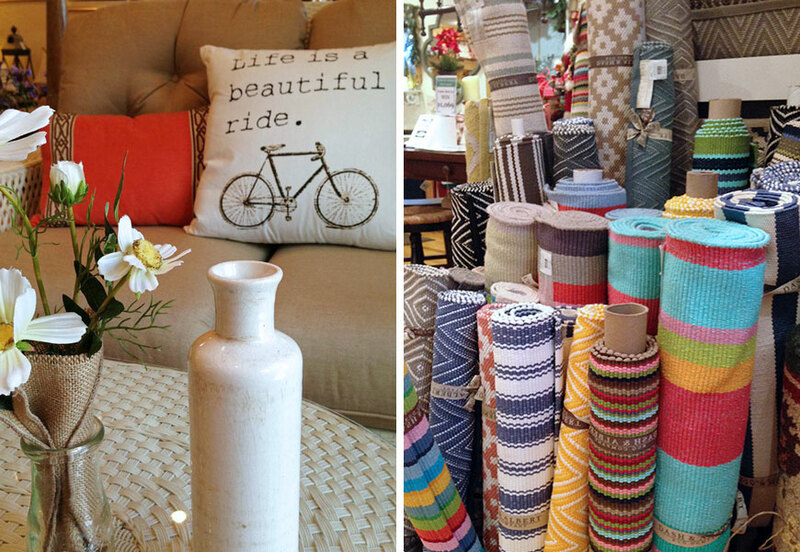 I also love the buying – so many beautiful things to choose from! PH: My favorite entertaining tip is to plan ahead! Serve cocktails right when your guests arrive and relax. Do as much as you can ahead of time so you can enjoy your guests and don’t try to make too many dishes! Also, I love wine and water carafes on the table – keep it casual and self serve.My best design tip is to layer and use lots of textures. When decorating a mantel or a coffee table, use varied heights and textures and just a few large scale pieces. PH: “Lessons will be repeated until learned.” I’m not sure who said it, but it’s true! PH: Accounting skills. Accounting was not my favorite class in college, but I’m pretty good at Profit and loss statements now! 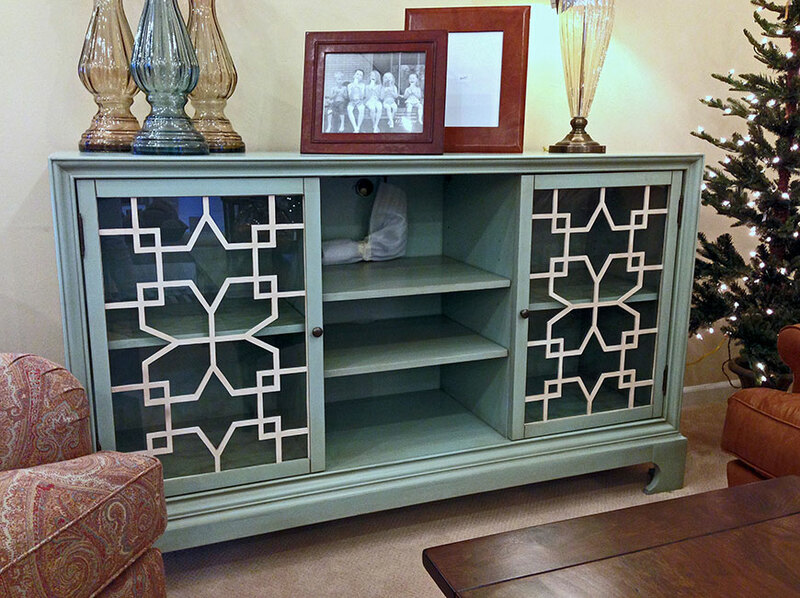 PH: I love this console from Justin Camlin. It comes in 28 different finishes and three different fret works for the doors. It’s a functional and beautiful piece of furniture. PH: Spartina bags, Luminara candles, Dash and Albert rugs, custom furniture made from salvaged Wisconsin barn wood and upholstery from Lee Industries. PH: We live in a beautiful Peninsula surrounded by water. I can look out our store window and be inspired by the natural beauty around us – the blues of the water, the greens in the woods. Our style here is very casual so its easy to be inspired by our laid back life style. PH: We are blessed with an amazing team. Most of our employees have been here at least 3 years, and many over 15 years. Every team member brings something unique to the table and they all give 100% when they are at work. They truly go out of their way to make the customer happy and to make our store look amazing. We are a lot like a big family. We share in each other’s joys and we have certainly shed many tears together as well. And of course, we enjoy a good glass of wine together at the end of a tiring day! TO ME THE MOST CHALLENGING IS ALL OF THE MANY ROLES YOU MUST FILL AS A SMALL BUSINESS OWNER. YOU NEED TO BE GOOD AT BUYING, SELLING, STAFFING, MARKETING, AND ACCOUNTING…AND EVEN SOMETIMES PLUMBING! PH: We try to treat each customer as we would want to be treated. Most of them are friends as well as customers. I truly think that is what helped us get through the recession. Our customers truly wanted us to stay in business and they helped us through the tough times. PH: One of our designers was working on a home. The clielnt had moved everything into a storage pod while the floors were being replaced. During the project the client became ill, and was worried about moving back in. Before she came home our designer enlisted the help of friends and tradespeople and had everything brought back in her home so it was perfect when she arrived. She cried because she was so touched by the gesture. PH: We have so many amazing places to eat in Door County! 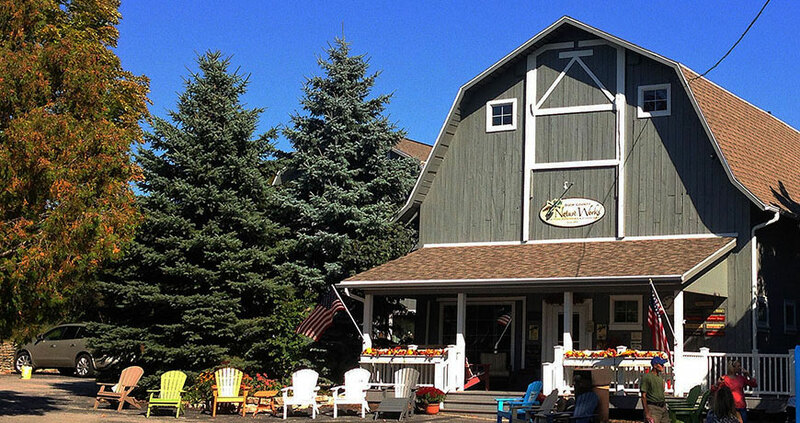 The White Gull Inn was voted the best breakfast spot in America – they have delicious stuffed french toast. We have two charming coffee houses I love to visit – The Blue Horse Cafe in Fish Creek and Base Camp in Sister Bay – the owner is from France and makes amazing tartines. When I get a day off I always enjoy going to Ecology Sports in Sister Bay for outdoor gear and to Edgewood Orchard Galleries in Fish Creek to peruse beautiful art and jewelry! What are your top 3 favorite stores in the world? PH: Wow – that’s a tough one. I love shoes so I would say Bob Ellis shoes in Charleston, NC would be on my list. I love to cook so the Oxbow Public Market in Napa Valley is a place I could spend hours in, and there was a charming store full of leather belts and shoes when I was in Italy that I adored, but I can’t remember the name! PH: Winter is a quiet time in Door County. It gives us a chance to slow down and prepare for the upcoming season. 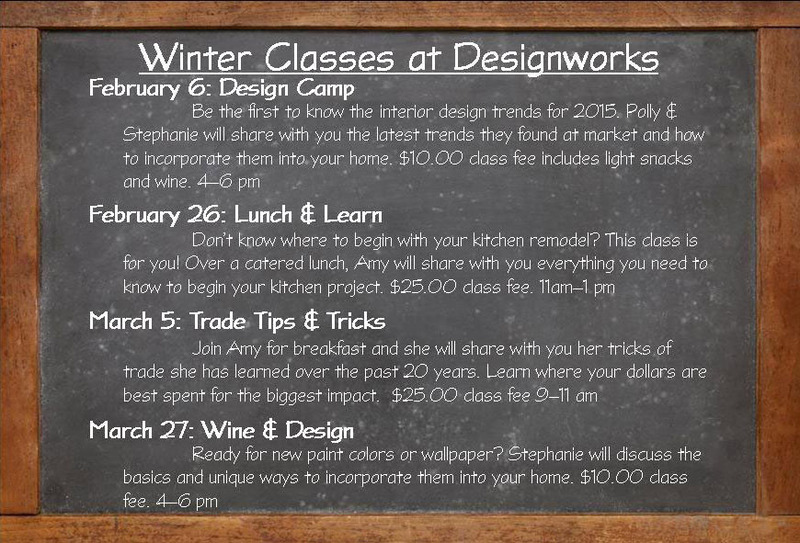 We are hosting a series of classes during February /March (see below!) which should be fun. 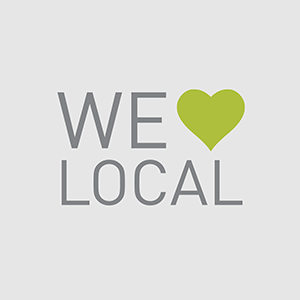 We will be kicking off our Lee Loves Local event with our first class. What sets them apart from online shopping? You just can’t have the same experience on a computer. We want our customers to come in and hear the music, smell the fragrances and touch the product. We want to help them make their best buying decision. If they are a satisfied customer, they will be back and hopefully a customer for life. PH: Henry is our shop dog, but he mostly sleeps all day in the office! Any other tidbits you would like to share about your shop? PH: Door County is a beautiful place, and we work in a charming village. 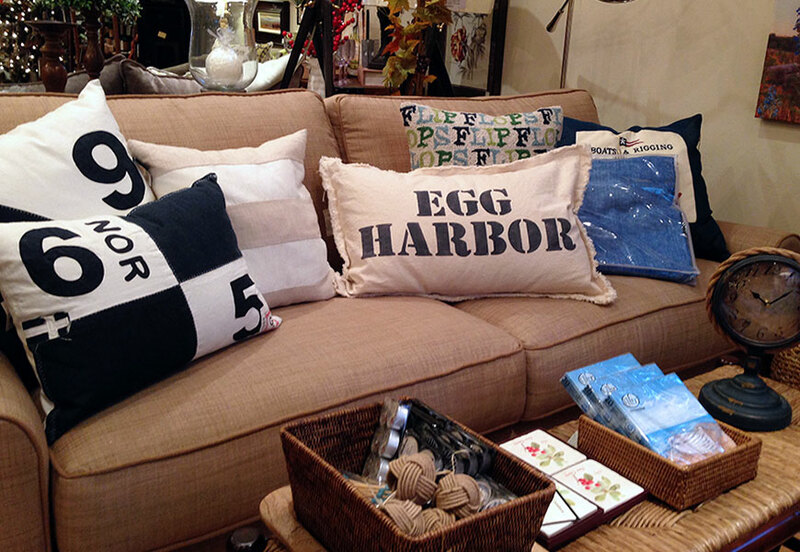 Our designworks store window looks out over the harbor of Green Bay. It is a truly a beautiful view. You all should come visit! 1. COFFEE OR TEA? TEA, UNSWEET WITH LEMON! 2. SALTY OR SWEET? SALTY. 3. BEACH OR MOUNTAINS? BEACH. 4. BEER OR WINE? WINE. 5. CITY OR COUNTRY? COUNTRY. 6. CATS OR DOGS? DOG!